Have you been injured in an auto accident in California? Has a loved one been injured or killed in an auto accident? Then you’re likely in need of an auto accident attorney. You’ve found the best at Law Offices of Fernando D. Vargas but before you call us at 877-982-0707 it’s important to understand what five things you should look for as you consider your options. Believe it or not, some law firms charge you just to have your initial consultation. Why should you pay just to see if an attorney is the right choice for you? Why would you want to owe money before you’ve even decided that you want to work with an attorney? We don’t think you should have to. That’s why you can count on a free initial consultation from Law Offices of Fernando D. Vargas. There are many reasons that experience is extremely important when you’re searching for a California auto accident attorney. First, you want someone who understands the law like the back of their hand. 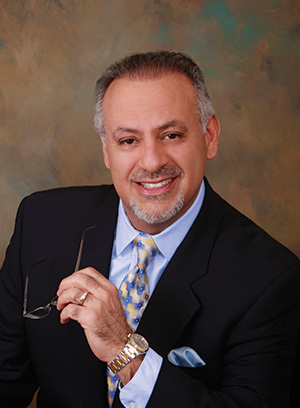 Fernando D. Vargas has decades of experience and will put that to work for you. Second, an attorney without experience will need time to assess your case, learn how to get in touch with expert witnesses, etc. When you work with an experienced professional, you can count on your case moving forward as quickly as possible. How confident would you feel working with an attorney who gets paid regardless of the outcome of your case? Do you think they’d work as hard as they possibly could for you? If you’re like many people, you may feel that they won’t. When you work with Law Offices of Fernando D. Vargas, we’ll take your case on a contingency basis. That means that if we don’t recover funds for you then we don’t get paid. You can count on our total devotion to getting the best possible outcome for your case. You may think this only matters if you speak Spanish but the truth is that your accident likely involves someone who speaks Spanish. Was the other driver’s first language Spanish? Were there witnesses who feel more comfortable speaking in Spanish? Having a bilingual firm gives you an edge over working with a firm that must hire translators. While these above factors are very important, it’s also important to choose someone you feel good working with. You want an attorney who speaks to you directly, who returns your calls, and who is punctual to meetings. You can count on all that and more from Law Offices of Fernando D. Vargas. Your case is important and we will treat it with the seriousness it deserves. Are you ready to hear more about your options? Are you ready for your free consultation? Contact Law Offices of Fernando D. Vargas today at 877-982-0707. We are here to help you get the best possible outcome for you case.